Nothing about the traditional selling decision, or Challenge, changes. We still sell with the overall portfolio characteristics in mind. It’s a standard procedure to challenge the holdings with the lowest return forecast. This was referred to by George Nicholson as “Rule One” for portfolio management. For this month’s meeting, Coach (COH) was challenged, updated, analyzed and sold to provide some boost to overall portfolio PAR. 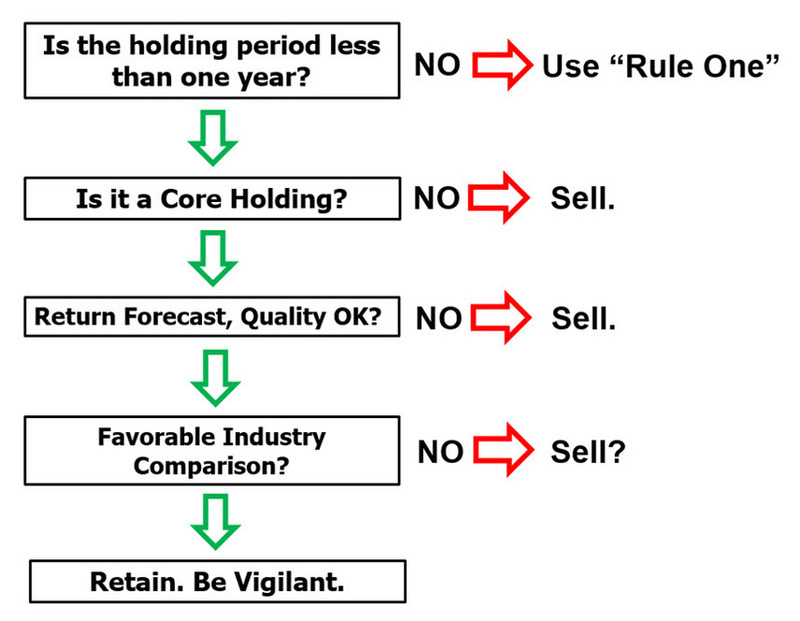 Following that, any company selected within the trailing 12 months that lags (falls behind) the Wilshire 5000 and exhibits a relative return of -20% is subjected to some “head scratching.” The following flow/decision chart is an attempt to capture this process. How To Use This Chart. This chart summarizes the decisions made by checking various attributes of stocks that have triggered the -20% relative return threshold over the last year. The first chart is a dashboard sorted by PAR (Ascending). The stock at the top of the sort, Coach (COH) is therefore — on the HOT SEAT. After further discussion and the update included in this thread (see below), Coach did not survive and was SOLD. When a stock reaches a relative return of -20% (versus the Wilshire 5000, VTSMX) it qualifies for this raking over the coals. The relative performance is displayed in the Relative Return column. If LKQ (LKQ) can remain under -20%, it will be removed from this listing at future Round Tables. Core? 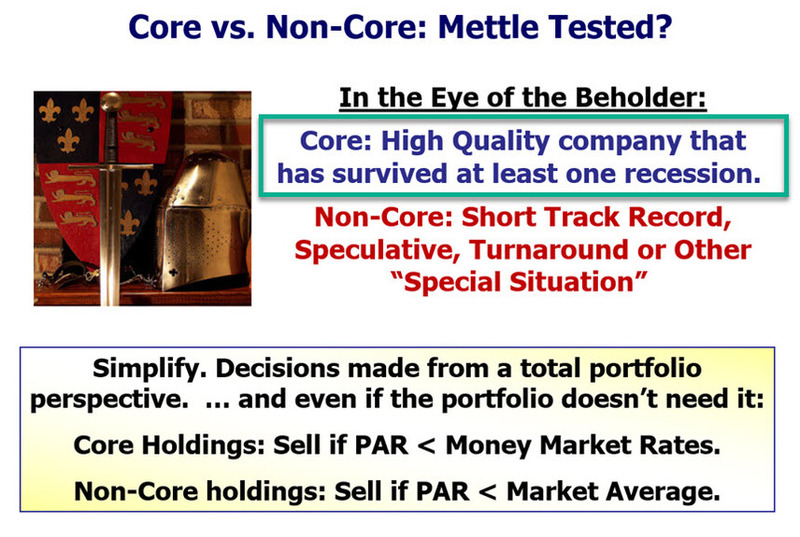 is a decision as to whether a stock should be subjected to tighter constraints or given “blue chip” treatment with a “longer leash.” Most participants tend to regard Retail/Apparel companies as Non-Core and we’ve found over the years that steady forecasts and steady results are generally the hallmark of companies that we consider to be core. If a company is deemed to be core, a quick check of the return forecast (PAR) and Quality is in order to detect degradation or erosion of expectations. In this case NVO is definitely “on the fence” and we’re monitoring for signs of further weakness. 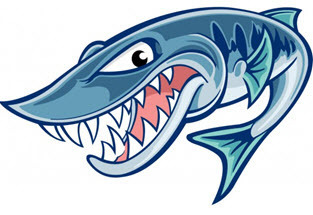 It was noted that the stock price performance has been stronger over the last few weeks. The last “life line” (vs. Industry) is a quick check to see if a company is actually faring relatively well versus its industry or peers while lagging the market. This essentially “saved” LKQ last month as we noted that the Auto & Commercial Vehicle Parts Index (BigCharts: WSJUSIXOTA) has lagged the overall stock market. Coach (COH) was sold from the Round Table tracking portfolio on 5/30/2017. The Audience Poll was a bit of a photo finish for May 2017. We ruled that the audience selected both Dollar General (DG) and LGI Homes (LGIH) and will invest $1000 in each. 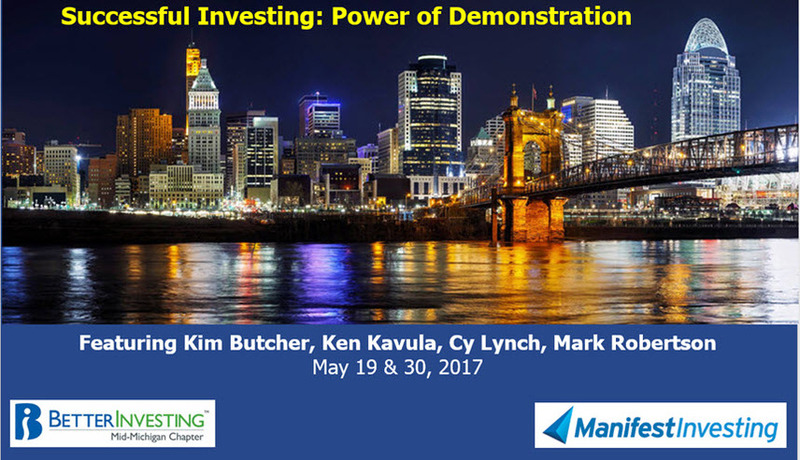 The live audience in Cincinnati on 5/19/2017 selected CVS Health (CVS). Our Fave Five essentially represents a listing of stocks with favorable short term total return forecasts (1 year, according to Analyst Consensus Estimates, or ACE) combined with strong long-term return forecasts and good/excellent quality rankings. The average 1-year ACE total return forecast is 9.6%. The Long & Short. (May 26, 2017) Projected Annual Return (PAR): Long term return forecast based on fundamental analysis and five year time horizon. Quality Ranking: Percentile ranking of composite that includes financial strength, earnings stability and relative growth & profitability. VL Low Total Return (VLLTR): Low total return forecast based on 3-5 year price targets via Value Line Investment Survey. Morningstar P/FV: Ratio of current price to fundamentally-based fair value via www.morningstar.com S&P P/FV: Current price-to-fair value ratio via Standard & Poor’s. 1-Year ACE Outlook: Total return forecast based on analyst consensus estimates for 1-year target price combined with current yield. The data is ranked (descending order) based on this criterion. 1-Year S&P Outlook: 1-year total return forecast based on S&P 1-year price target. 1-Yr GS: 1-year total return forecast based on most recent price target issued by Goldman Sachs. The relative/excess return for the Fave Five tracking portfolio is +1.8% since inception. 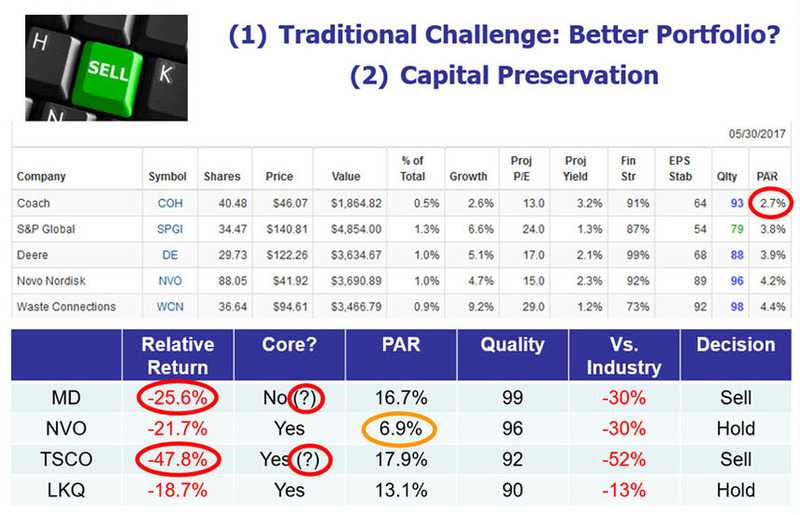 45.3% of selections have outperformed the Wilshire 5000 since original selection. We collectively owe all Value Line analysts an apology. We’ll use this household products leader — and walking, talking and breathing Up, Straight & Parallel business analysis — to take a closer look at profitability forecasting. I think we might owe the Value Line analysts an apology. This might be one of those moments when we realize that something we’ve believed, shared and taught just doesn’t work out the way we expected. I hate when moments like these happen. The culprit is usually a Value Line company report. You know the ones I’m talking about. The companies that have been running close to a 5.0% net margin for the last few years and the Value Line analyst has a 3-5 year forecast of 7.5% for the projected net margin. We snicker. Some of us guffaw. Almost all of us discount the forecast. The second part of an SSG-based stock analysis includes a look at profitability trends. Faced with slide rules and abacus beads, George Nicholson resorted to a moving average for “instant trend analysis.” It’s very straightforward. A comparison of current conditions (higher or lower) versus the trailing 5-year average tells us whether recent results are above (good) or below (bad?) the longer term trend. There is nothing wrong with this convention. But we use the Preferred Procedure — a business model analysis — to build the long term return forecast for the companies we study and analyze. And we’ve generally used the trailing 5-year average net margin as the projected profitability. (1) This will build in some conservatism, and (2) we lean on the “excuse” that we’re doing the analysis for each and every company the same — so it’s all “relative.” This too is a decent, but flawed, convention. Even if it’s WRONG. The problem is that we’re striving for better absolute forecasts. 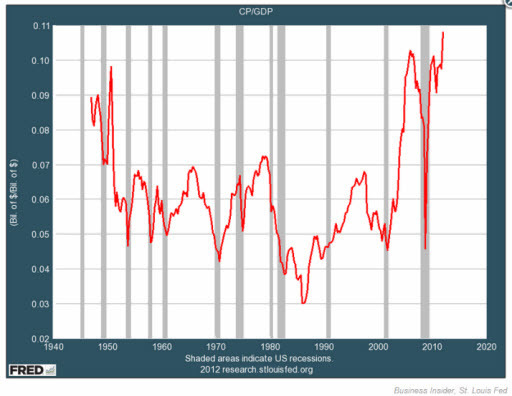 Does anything about that accompanying chart of long-term aggregate net margin (1940-Present) look CONSTANT??? 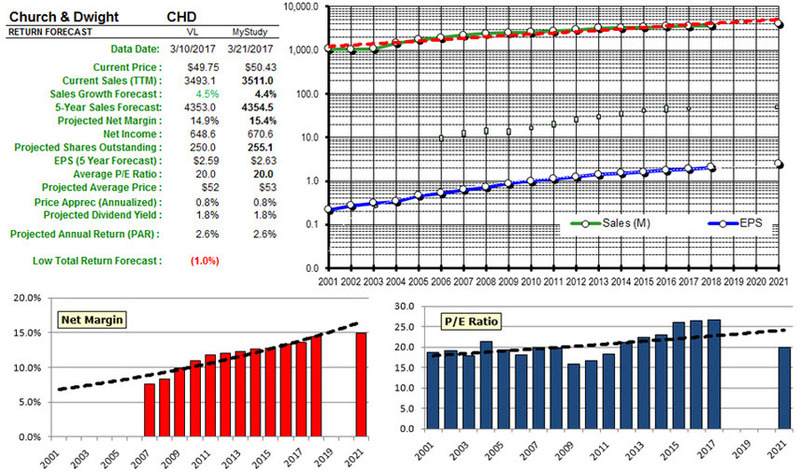 Church & Dwight (CHD): Profitability Trends. 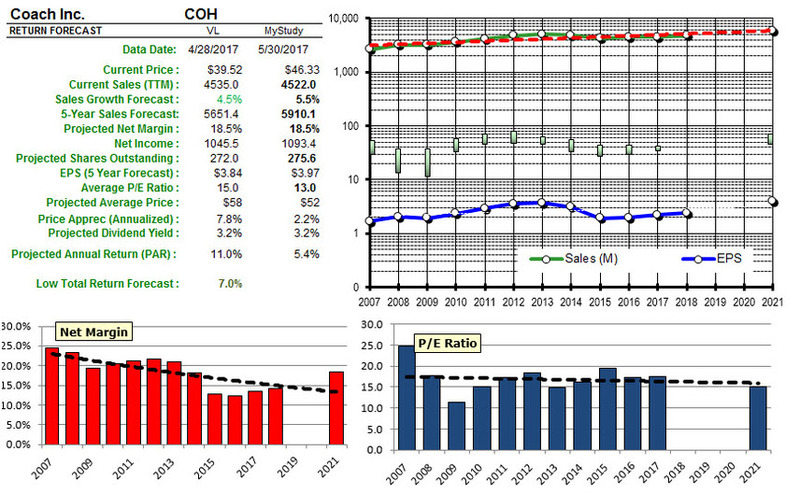 The actual and forecast net margins for CHD are shown in the profitability graphic on the left. The graphic on the right supports a comparison of actuals (red bars, 2009-2016) versus the forecasts (purple bars) based on 5-year trailing averages back at the time the forecasts were formed. The fact that we have embedded analyst estimates for profitability for this year, next year and 3-5 years out (when available) for our long-term forecasts means that we are less impacted by this condition than what is depicted on the right. I think it’s clear that we’d want a forecast for CHD that is essentially between the VL 3-5 year forecast and the exponential regression shown on the left image. It’s probably also clear that for a profitability profile like the one on the left, the trailing average forecast is going to consistently produce a lagging forecast. Remember the example of margin expansion by Coca-Cola over the years cited by Steve Sanborn. It’s simply a reality that profitability characteristics shape and evolve over the life cycle of all companies. The moving average forecast method really only works (accurately) for mature stocks with relatively constant profit margins. The problem is that there aren’t very many companies that fit this description. Our database includes a forecast algorithm that essentially smoothes and weights the more recent years. When we use this method for Church & Dwight, our 5 year net margin forecast aligns very closely with Value Line’s 3-5 year construct. We checked about (50) more companies — and those forecasts that we snickered and guffawed about — all checked out very closely. We may owe the Value Line analysts an apology. We will begin infusing this method with updates going forward until the entire database (at Manifest Investing) is converted.